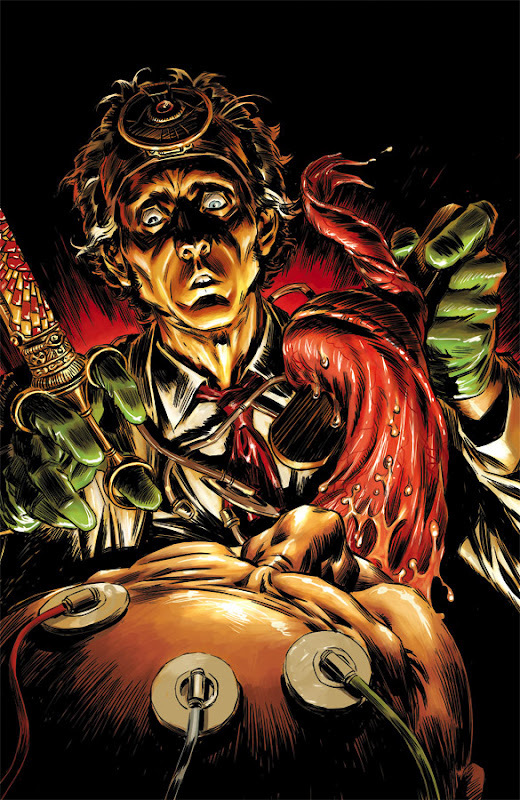 Creators Brandon Seifert and Lukas Ketner respond to your otherworldly emergency with the sequel to the breakout medical horror hit WITCH DOCTOR, from Robert Kirkman's Skybound imprint at Image Comics. Even the world's leading expert in supernatural disease needs to unwind sometimes. But when Dr. Morrow wakes up with no memory of what (and who!) he did last night, is it a case of partying too hard or something more malignant? "I'm glad people loved Witch Doctor volume one so much — but we're barely getting warmed up!" said writer Seifert, adding, "Mal Practice has more monsters, more magic, more medicine and more peril, as Dr. Morrow has to treat a very different patient — himself! And like they say — doctors make the worst patients!" "This story really ups the stakes and pushes the characters to new levels of desperation — after all, what's a witch doctor to do when he's his own best hope to survive?" said artist Ketner. "I've been waiting to draw some of the stuff in Mal Practice since the very beginning of Witch Doctor, and I'm relieved that we're finally taking the bandages off for all to see!" 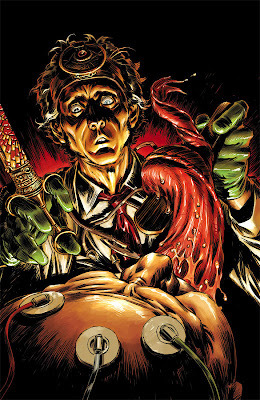 WITCH DOCTOR VOLUME 2: MAL PRACTICE #1 is the first issue of a new six-issue miniseries, with story by Brandon Seifert, art by Lukas Ketner and coloring by Andy Troy, arriving in stores November 28th with 32 pages of gruesome and gory goodness ($2.99/FC/T).